Sand-made packaging re-establishes the ritual of discovering a gift and the concept of sustainable packaging. This particular packaging, created by Alien and Monkey, a design workshop by Daishu Ma (writer and illustrator), and Marc Nicolau (industrial designer), isn’t one to be expected. It is indeed designed to house not only a small gift, but also a product that is not created by man, but by sea. 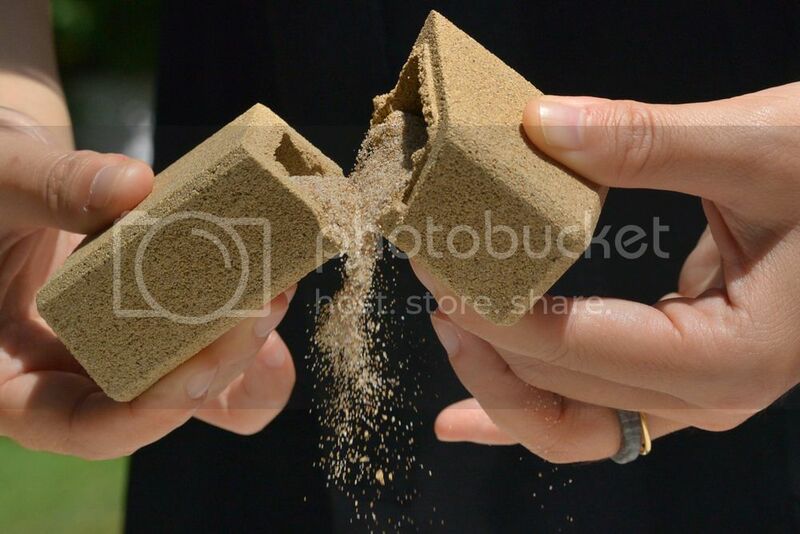 Their packaging for sand is quite unique as it borders between art and design worlds, using the product it contains as the substrate and transforming it into a solid cinder block-like shape. When you open it, you have the feeling of breaking into the structure, like cracking an egg. Knowing that it can never return to the state it once was in, introduces a whole new experience for the user. “As an answer to the increase of waste in modern society, once our sand packaging has fulfilled its purpose, it can be broken down to sand and disposed directly back to the environment. Our hand made sand packaging design explores ritual and psychologies behind the process of discovering a gift.” – Alien and Monkey. 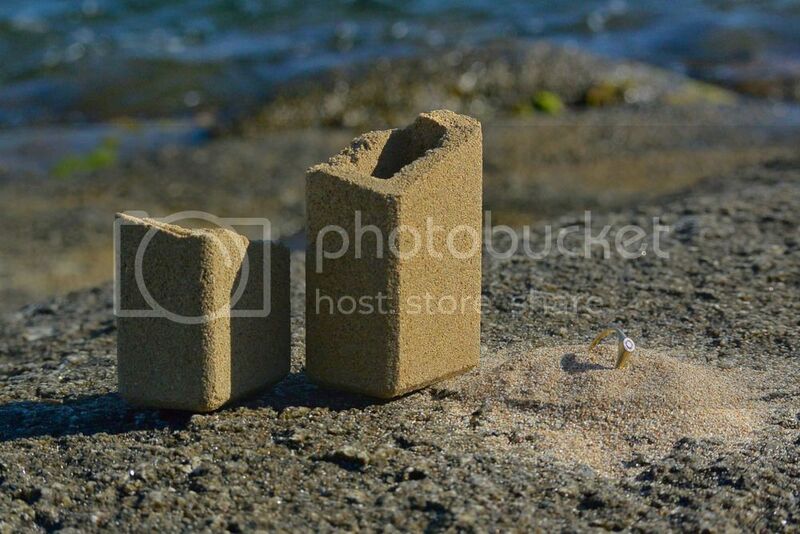 The gift is sealed inside this sand packaging, and by breaking it, its hidden content can be revealed. 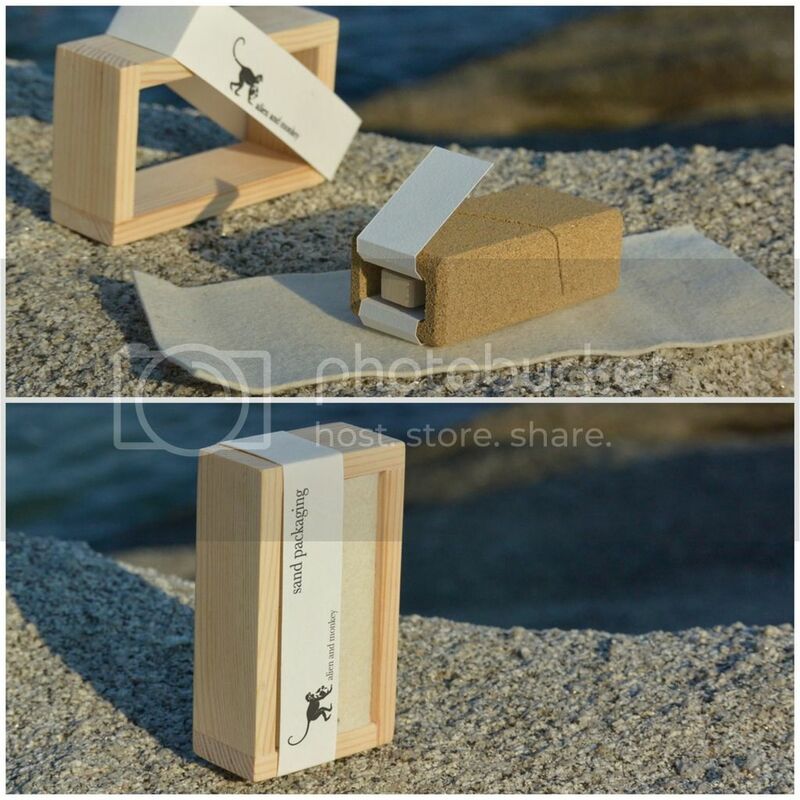 According to the creators of this unique packaging, destroying it during its opening provides a sensory experience and creates a long-lasting memory for the person who discovers the gift. Daishu Ma and Marc Nicolau employed traditional ceramics techniques and a touch of alchemy particles of sand, mixed with other natural minerals, and then compressed and dried them. This material does not contain any resin or glue and therefore it is 100% ecofriendly.